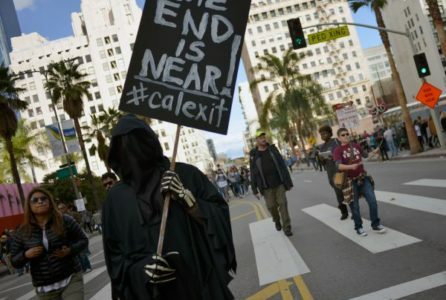 How Would CalExit Secessionists Manage Social Security? CalExit is a vote scheduled in 2019 on whether California should hold a referendum on independence from the United States. 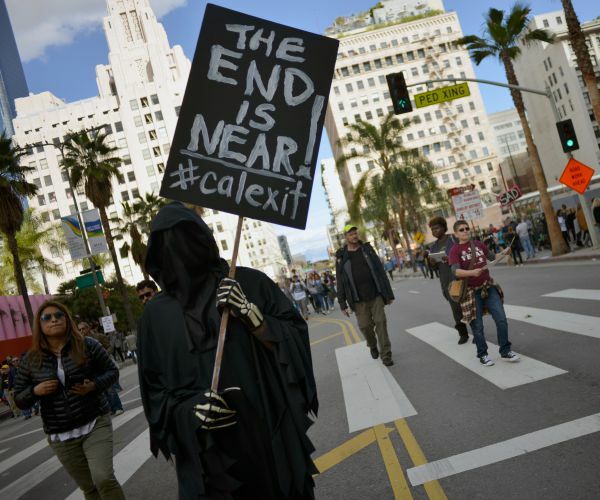 CalExit is a vote scheduled in 2019 on whether California should hold a referendum on independence from the United States. Basically, it is a vote on whether or not to have a vote. For those willing to speculate, the CalExit movement inspires a certain amount of curiosity. While the measure is unlikely to pass, the promotional material from California Yes suggests how far removed the typical voter has drifted from the mechanics and finances of Social Security. In its vision, the nation of California would keep the tax revenue for its own Social Security (“CSS”), while serving the existing seniors who live in the state through the present Social Security. For younger Californians it is a great deal. Instead of putting money into a system which promises uncertainty, they would be contributing to a system that would be generating a reserve for future California retirees. At the same time, they would receive a free pass on more than a trillion dollars of unfunded legacy costs. Yippee! That selling point ignores the fact that the existing system already uses that money. Currently, Social Security takes money from workers to provide benefits to seniors. And there isn’t enough revenue as it is. According to the Trustees, we would need to add more than $12 trillion to the existing surplus of $2.8 trillion Social Security Trust Fund just to kick the can down the road for 75 years. We can’t fix that gap by diverting nearly $100 billion in revenue away from the system. This idea will of course only push the existing system to insolvency faster — and deliver much larger benefit cuts. This would mean very large benefit reductions for seniors both in and out of California. Why anyone thinks that this approach will work is beyond me. This is no more sensible than basing the secession on tarot cards. Here is a different, and maybe more realistic, approach for states wishing to separate from the Union. In this case, California gets a portion of the Social Security Trust Fund, and it is thereafter on its own. In this case, the nation of California would have the obligation to pay the existing retirees of the state and would collect revenue derived from its pleasure of taxation. Statistically, this move probably hurts the U.S. Social Security system. While the program is hemorrhaging cash in every state, California is far from the worst situation. In fact, the revenue and expense of the program in 2014 yielded a small surplus. Pick a number, the state might get about $200 billion net of the fees of the transition. Like the existing system, that sum would be liquidated over time as expenses exceed revenue. In total, Social Security in the nation of California would be as problematic as it is everywhere else in the Union. Moreover, the solution isn’t transparent either. This settlement does not answer how seniors would move to or from California. If California increased benefits relative to that of the existing system, people would want to move there. Will California pay the benefits of transient seniors? I am not suggesting that anyone vote in a specific way on this initiative, but I find it disturbing that no one is asking any realistic questions about it. ← Health Care Costs In Retirement: Separate Fact From Fiction?